Vintage Vehicle and Machinery Auction - All vehicle types welcome. See web site for entries. Admission: £5 Adults - includes car park and catalogue (Under 16s free) Catering and toilet facilities on site. 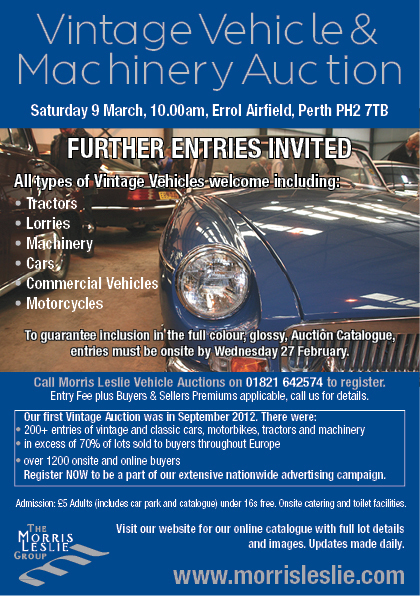 Vintage Vehicle Auction Perth Scotland.